A newborn baby was found dead on Jan. 16 in an Amazon warehouse bathroom. The baby was found at a Pheonix, Arizona, warehouse, in the trash can of the women’s restroom. Police were notified at around 8:30 p.m., ABC 15 reported. Police said the baby was unable to be resuscitated by the time first responders arrived. “You can leave your baby, up to 3 days old, with an on duty staff member at any hospital, emergency medical service provider, fire station or with any licensed private child welfare agency, licensed adoption agency or any church in Arizona,” the Baby Safe Haven website says. And Arizona hospitals have drawers that people can use to abandon newborn babies into the hospital’s care, without needing to speak to anyone, according to ABC 15. A woman in Corona, California, pleaded not guilty in December for the murder of a baby found abandoned near a highway. Shawna Joelle Andritch, 22, remains in police custody on $1 million bail, The Press-Enterprise reported. The baby was found in a cardboard box, wrapped in a stripped shirt, on July 26. Police have not yet determined the cause of death. They also arrested 17-year-old Joshua Tyler Benson. Police made the arrests after someone called police with a tip following media coverage of the tragedy. 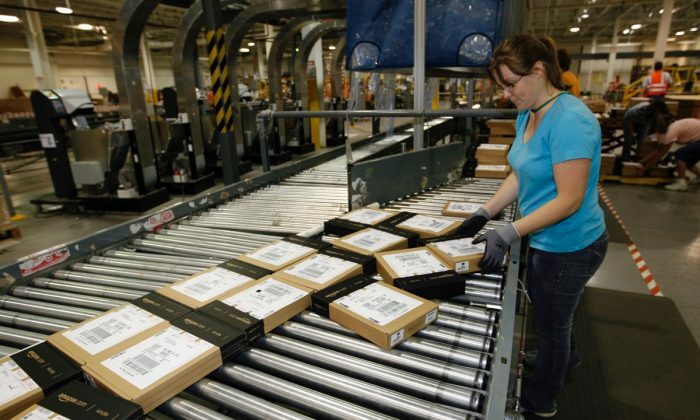 The National Council for Occupational Safety and Health (NCOSH) said Amazon needs to address workplace safety. In a report last year the council said seven people died in or around Amazon warehouses since 2013. The council reported that three workers died within five weeks in September and October 2017. The deaths listed in the report occurred at Amazon warehouses in Nevada, Illinois, Indiana, Virginia, and New Jersey, along with two deaths at a Pennsylvania warehouse. In a later report, by The Baltimore Sun, two more people died when the warehouse building partially collapsed during a storm. Two men were found under debris after a 50-foot wall collapsed. The two weren’t direct employees of Amazon. One worked for a real estate firm and the other was a contractor for a local delivery company, Recode reported. Amazon CEO Jeff Bezos became the richest person in the world, according to the Forbes billionaires 2018 list, after he overtook Bill Gates with a jump of over $39 billion in net worth from 2017. Bezos also recently announced via a Twitter post on Jan. 9 he will be divorcing his wife. News reports since the announcement question whether he will still be the richest man in the world after divorce proceedings.